To celebrate our one year anniversary (of dating), Sean and I decided to book a trip to Florence, Italy. We knew the city was meant to be beautiful and romantic, which is a selling point in itself. Add in the idea of eating pasta and pizza while drinking delicious wine for days on end and we were sold! 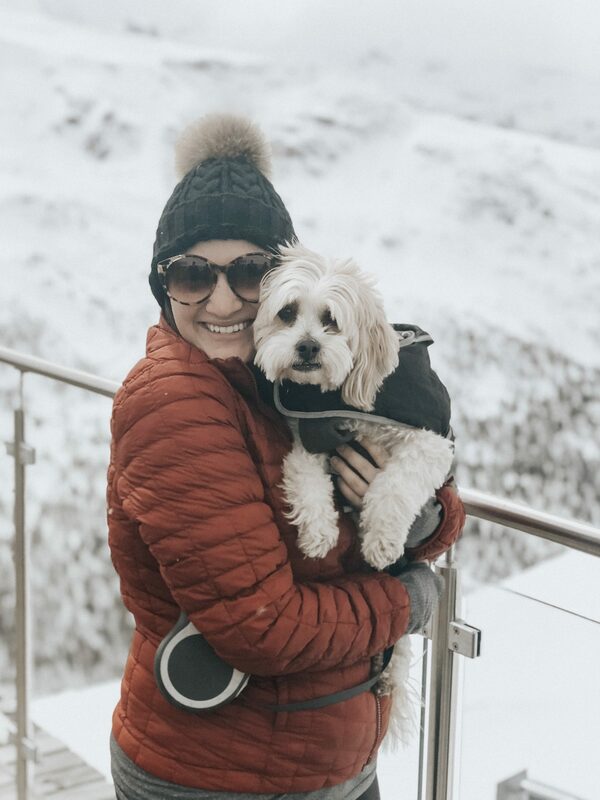 We visited Milan a couple of months earlier and were eager to expand our Italian horizons; Florence seemed like the perfect place to start, and a wine tasting tour in Tuscany seemed like the perfect activity to start with! Sean was just starting to like wine at the time (he’s come a long way since then), but I was already a full blown wine-a-holic. We knew we would have the opportunity to try plenty of local wines while in Florence, but wanted the opportunity to do a bit more as well. 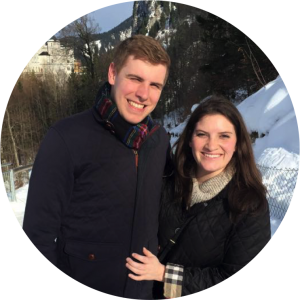 Our organized tour in Munich to visit Neuschwanstein Castle impressed us so much that we thought we would do something similar in Florence. 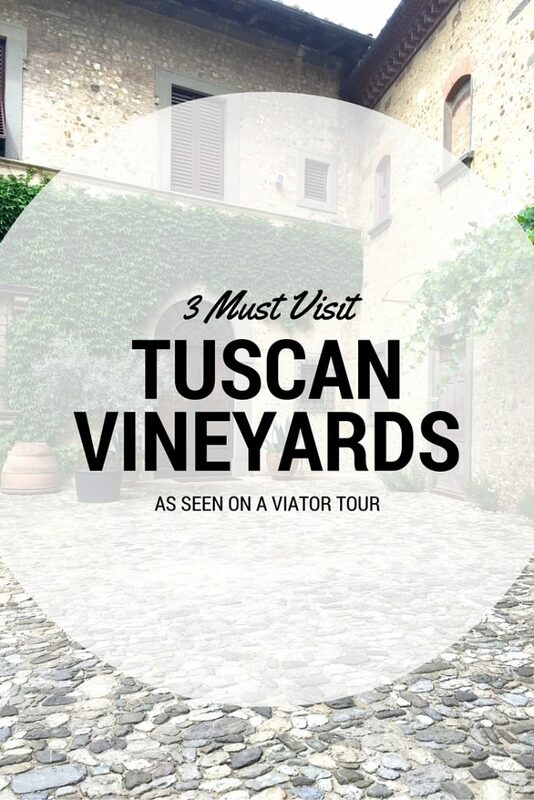 So as soon as we booked our trip, we started looking into our options for a wine tasting tour in Tuscany. 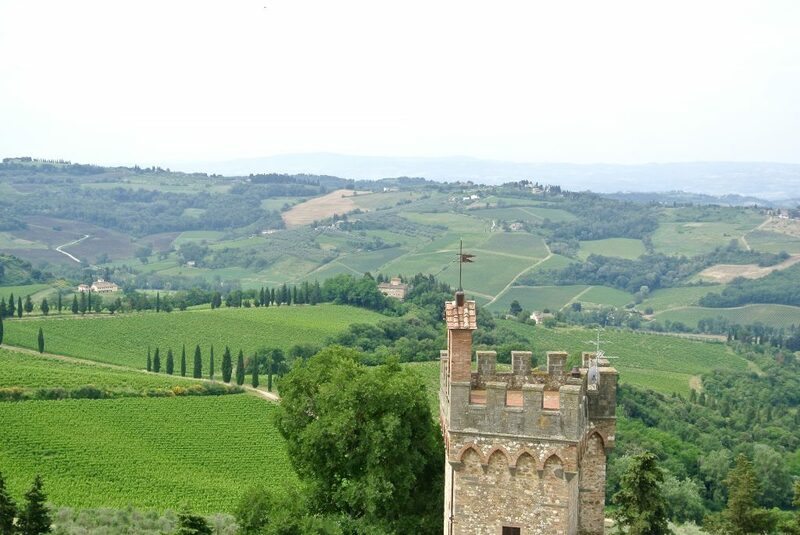 We found the Chianti Region Wine and Cheese Tour on Viator, liked the reviews, and purchased the tour. 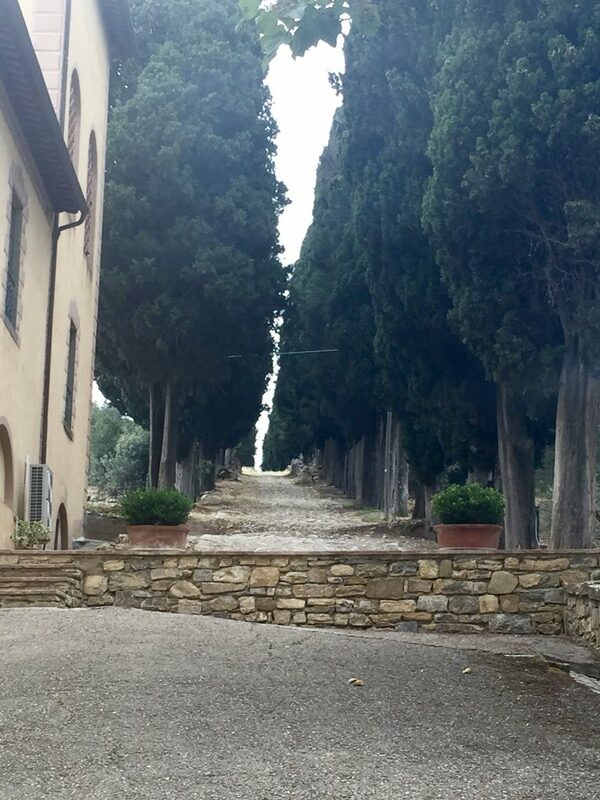 Sean fell in love with wine, and we fell in love with Tuscany. Book a tour or hire a driver so your entire group can enjoy the trip without worrying about how much they drink. It’s a small cost that’ll result in a much better experience for your entire group! Pack reusable wine bags to ensure you can safely transport any purchases back home. 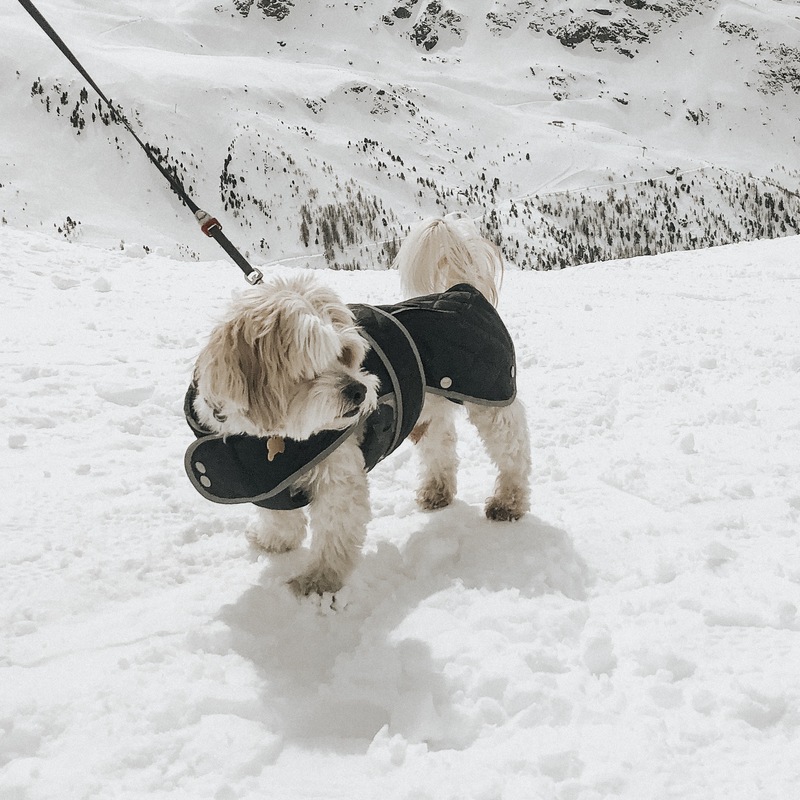 We love these bags because they protect our bottles in our suitcase and, if a spill does happen, contain it in order to protect our clothes. . Carry a corkscrew with you when visiting wine country! You never know when you’ll have the opportunity to pick up a bottle of wine and enjoy a picnic at sunset. Screw top bottles are more and more common these days, but you can never be too prepared. 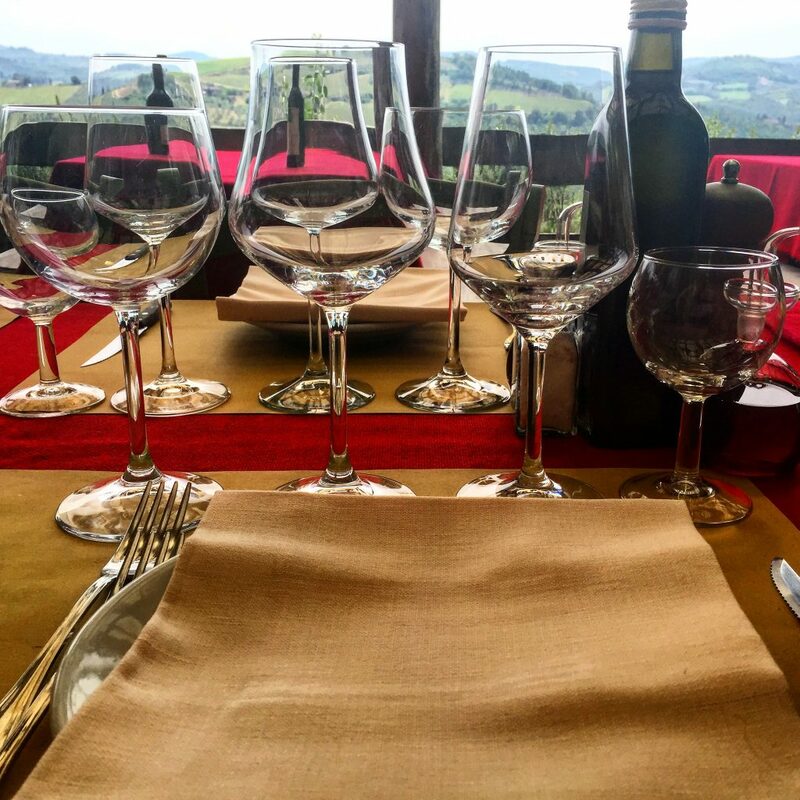 The Chianti Region Wine and Cheese Tour involves an educated guide, a small group of wine drinkers, and a minibus. 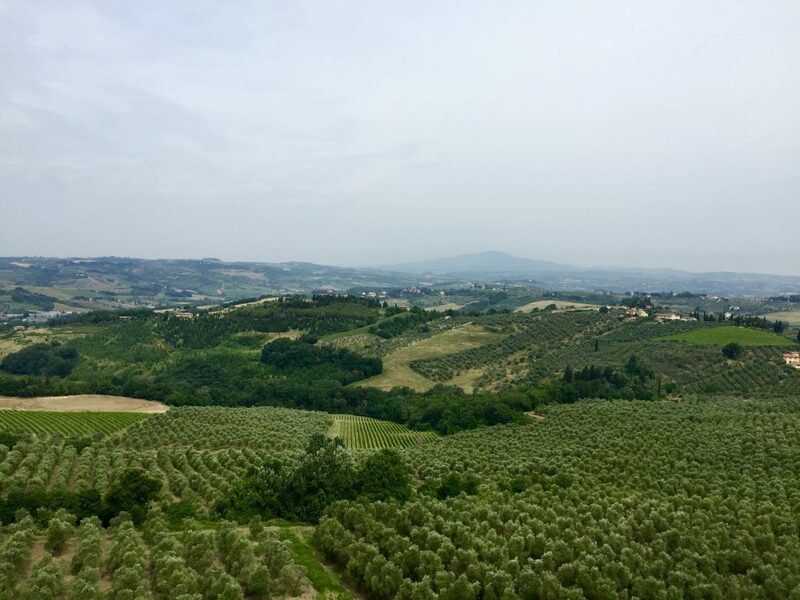 The bus goes along narrow, winding roads through the Chianti Region (consider that a warning to the carsick prone) and makes four stops throughout the day – 2 wineries, 1 restaurant/vineyard for lunch, and 1 town in the Chianti region. 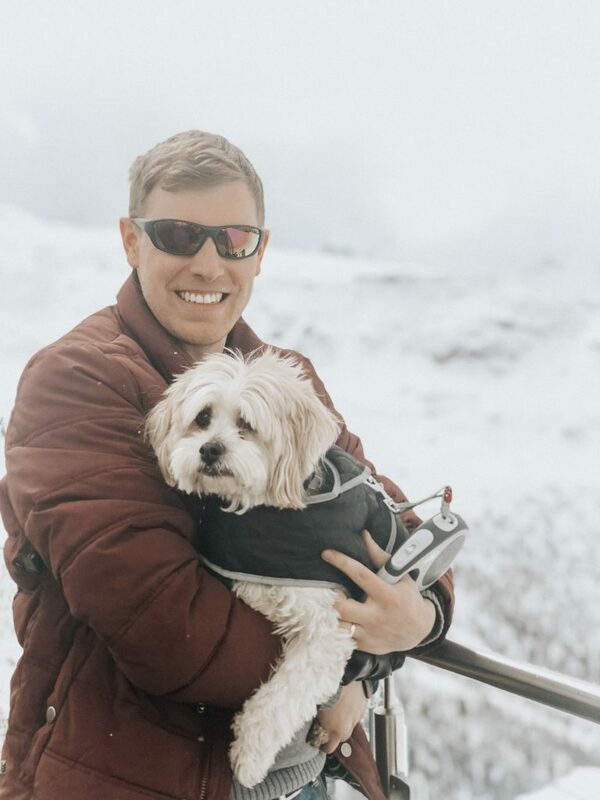 Our guide, Alessandro, was fantastic; the food and wine were both amazing; and the views we had throughout the day were absolutely breathtaking. Based on more recent Viator reviews, it looks like Alessandro is still there, as well – major bonus! 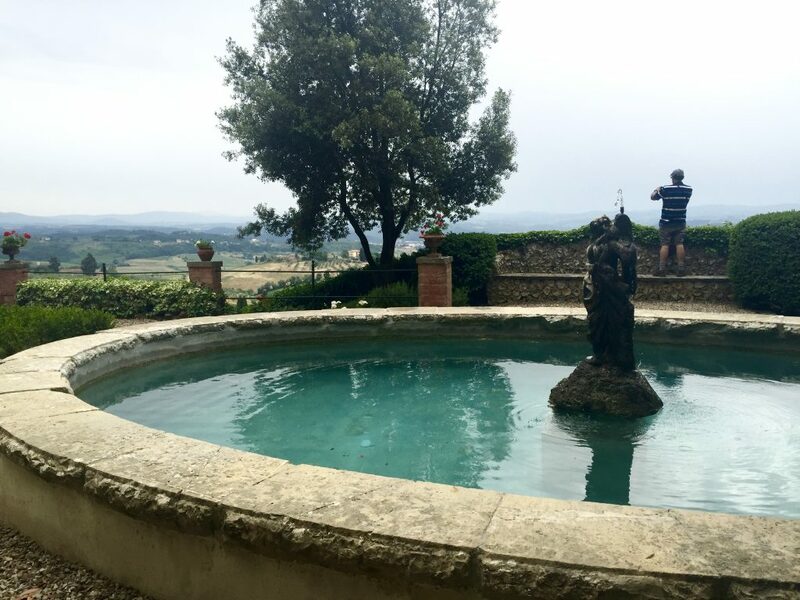 Every aspect of the tour reiterated how romantic Tuscany is, which is why we so highly recommend it as a destination for couples. Castello de Poppiano is one of the larger wineries in Tuscany, and is based in a castle. The family who owns and runs the winery lives in the castle to date – hello, dream! 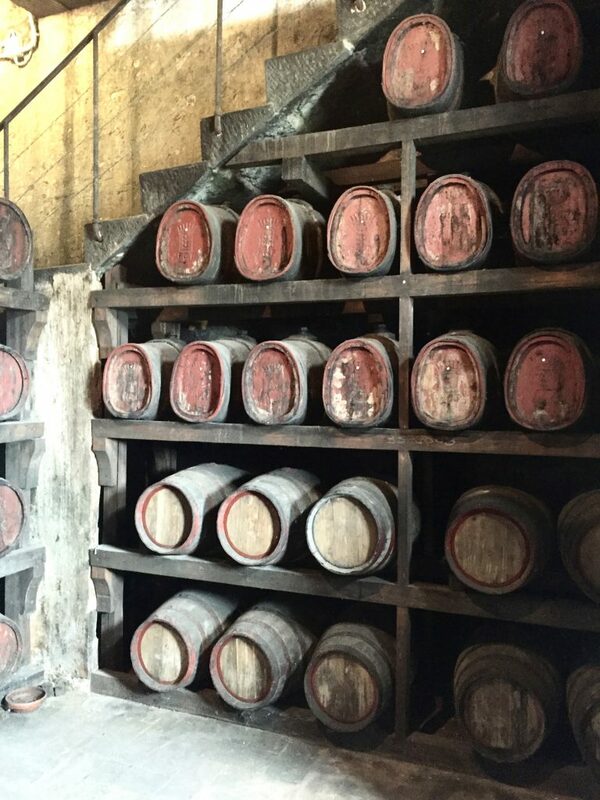 With our group, we toured the wine cellar, the olive oil factory (apparently everyone in Tuscany makes wine and olive oil), and the port tower (where they store the aging barrels of port) before sitting down for the wine tasting. We tried three wines and a dessert wine, as well as their main olive oil. Sean and I ended up purchasing a bottle of wine and a bottle of dessert wine and I left a very happy camper. A full Italian lunch was included with the tour, and we headed there after Castello de Poppiano. La Cantinetta di Rignana is a very local restaurant that is apparently impossible for tourists to stumble upon. We loved being “in the know”; however, we also want to share this find with everyone we know. If you are ever in Tuscany, go to La Cantinetta di Rignana. It. Was. AMAZING. They have a vineyard where they grow their house wines, gorgeous views, and phenomenal food. We had a proper Italian three course meal – crostini to start, followed by a spaghetti first course, and grilled meats from a wood burning grill for the second course. We also had three glasses of wine (made on the property) during this meal. We stopped for a mini break in Greve-in-Chianti, a Chianti tourist town. We chose to stop for gelato and cappuccinos before doing some souvenir shopping. To be honest, we did not get very far beyond the main square so I do not have a ton of thoughts on the town; however, it was an incredibly cute town square and the coffee was lovely! There is a famous butcher in the town square which we did not visit, but Alessandro picked up some meats there for Stop #4. They left us wanting to return to pick some up for ourselves…delish! By the time we left Greve-in-Chianti, the entire tour was so exhausted (and a bit tipsy) that the entire bus fell asleep for a solid hour on the way to the next stop, our final winery visit. Fattoria di Cinciano was much smaller than the first winery we visited, but doubles as a luxury Bed and Breakfast. We wandered around the property for a bit before the settling into the wine cellar. The wine cellar was actually above ground, in converted stables, and seemed like a place I could spend my entire day. 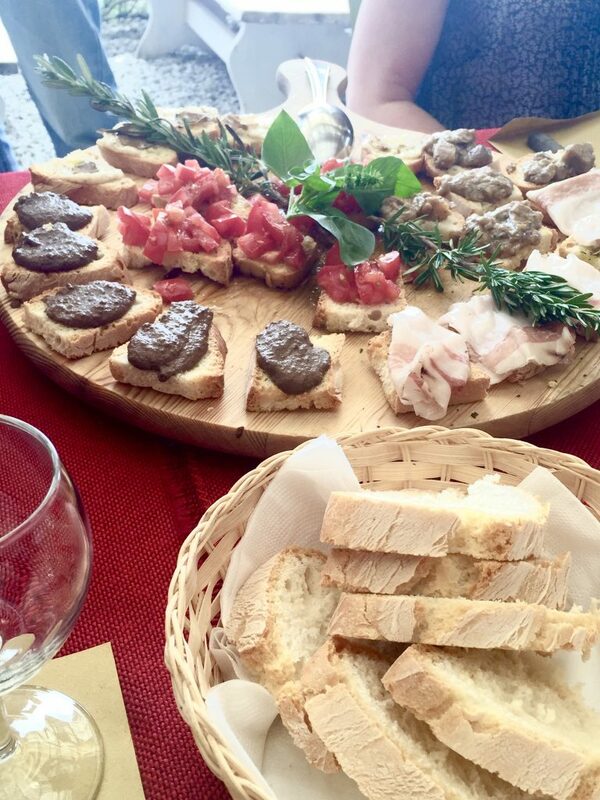 Our wine tasting was paired with some classic Italian meats and cheeses from the butcher shop in Greve-in-Chianti. I definitely want to stay there on a future trip! This is one of the original Roman roads that runs through the property – how cool is that? Have you ever been on a Viator tour? Let us know which one and how it went in the comments below!